According to Interpol, up to a third of globally traded wood products are made from illegally harvested timber. But a group of environmentally conscious adventurers is looking to change that. Adventure Scientists is a U.S.-based non-profit organization that’s finding solutions to global environmental issues — and they’re doing it with data. “We recruit, train and manage volunteers with all kinds of outdoor skills and interests around the world to collect data that scientists need — while they’re having adventures that they’d be having anyway,” explains Andrew Howley, the group’s communications director. He says conservation efforts are often lacking key data from remote areas that are expensive and difficult to get to. That’s where Adventure Scientists come in. Their volunteers are mountaineers, whitewater kayakers, and diving enthusiasts — people who are already passionate about exploring the wildest corners of the continent and are willing to add a scientific layer to their expeditions. This year, they decided to focus on an issue close to home — timber poaching along the coast in California, Oregon, Washington and British Columbia. “[Poaching] drives biodiversity loss, deforestation and exacerbates climate change,” says Anya Tyson, the Timber Project manager, adding the trade is pervasive because it’s difficult for consumers to tell the difference between products made from legally harvested versus illegally harvested timber. Adventure Scientists believe better data can help. Their goal is to build a genetic reference library that law enforcement officials can use to identify where a particular tree has come from, starting with the bigleaf maple — a tree that attracts timber poachers because of a “distinct marbling pattern that makes for beautiful furniture and instruments,” says Howley. More than 100 volunteers, divided into leaf and wood crews, have been busy collecting samples from San Diego, Calif. all the way up to Vancouver Island. 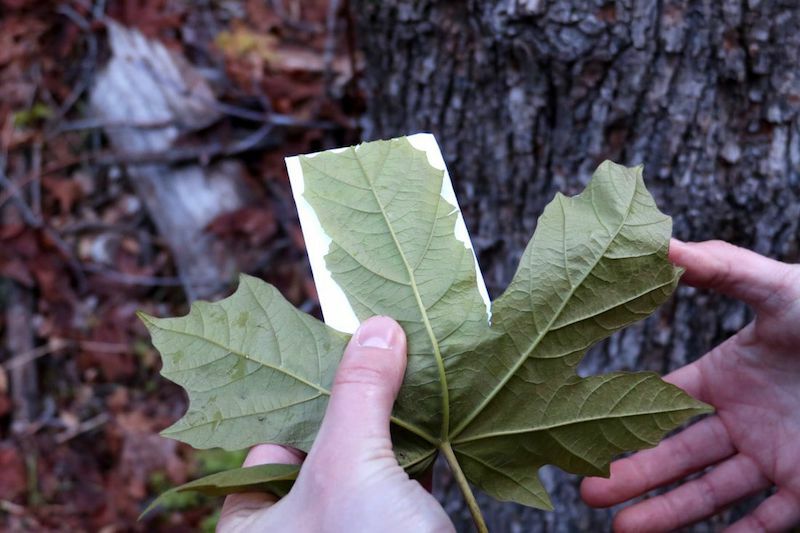 After being trained by Adventure Scientists, leaf crew volunteers sign up for a zone and go out into their designated area alone or in a group to sample 10 to 20 trees, collecting a leaf from each. Once they’ve recorded details about the given site and sample, the volunteer packages the leaf and sends it off to Adventure Scientists, who then ship it to a research facility that works on extracting DNA from each one. There are fewer wood crews, as these volunteers train for longer and cover more ground. They must learn how to safely retrieve tree core and remove a cross-section of a branch from every tree they sample. While volunteers on a leaf crew sample up to 20 trees, every wood crew only needs to do half as much. “The leaves are really critical to building a DNA base and the wood samples are really critical for our scientists making progress on the best methods to extract DNA from wood,” says Tyson. Once they create an open-access reference library for the bigleaf maple, Adventure Scientists plan to map the genetics of more tree species in other regions of the world to decrease timber poaching on a global scale. “We envision a world in which environmental issues and the solutions to those issues aren’t hindered by a lack of data,” says Tyson.